Every self-respecting coffee drinker knows that morning coffee is a gift. Especially to sleep-deprived parents and college students. The kind of next level coffee that requires a specific temperature and a steady wrist may be an indulgence for special occasions, but a solid cup of drip coffee is a daily necessity. There are plenty of coffee makers on the market that offer a host of varying features. From espresso machines that will steam your milk, to the kind of squat, sputtering half-pints you find in hotels, you’ve got options. But unless you’re a retired barista, you’re likely looking for a coffee maker that will provide you with a consistent brew at a reasonable price. The Final Shot: In this range, the BrewStation from Hamilton Beach is the top pick. It will brew directly into your mug or travel cup, has a programmable start and holds up to 4 cups inside, at optimal temperature, without scorching the coffee and ruining the flavor for up to 4 hours. To help in your search for your next coffee maker, we’ve compiled a list of our top three choices under $50. Options like the Hamilton Beach BrewStation include great features such as one-hand dispensing and a programmable timer. All three choices are affordable and will reliably brew your black gold daily. One of the first things you might notice about the Hamilton Beach BrewStation is that unlike traditional coffee makers, it doesn’t come with a glass carafe. That’s because the BrewStation uses a single cup dispensing system instead. You simply set your mug under the machine’s spout, fill, and continue on your way. In terms of making your coffee, the Brewstation is fairly traditional. Fill the back of the machine with your desired level of water and heap the grounds from your favorite coffee into the basket. The BrewStation includes a customizable start time so you can get your grounds ready the night before and set it to kick on automatically in the morning. Once finished, the BrewStation will stay on for up to 4 hours, keeping your coffee warm the whole time. And because the coffee is kept inside the maker, it will stay warm without tasting stale or scorched. The BrewStation also comes with varying brew size options. You can choose from 1-4 cups, so that whether you’re just making a brew for yourself or to share with friends, you’ll make just the right amount. While this coffee maker might not offer some premium features you’d find on a high-end espresso machine, it does have brewing style options for creating a cup that suits your taste. You can choose from bold, regular, iced, or small-batch brew styles as you prefer. When I’m on the go, being able to quickly fill my travel mug with coffee and head out the door is imperative. The BrewStation makes it easy to get my coffee when you’re in a rush and when you’re enjoying a slow morning at home and want a refill without having to make a new batch. The easy-to-use dispensing system and options for customizing your brew are just some of the features that make this model from Hamilton Beach a great choice, and my top pick for a coffee maker under $50. If you’re always in a rush and trying to minimize the time you spend fiddling with lots of different parts and clean up, then the Scoop-Single Server coffee maker is a great option to consider. The Scoop brews one cup of coffee at a time, much like a Keurig. Instead of using pre-packaged pods, the Scoop-Single Server allows you to fill its mesh scoop filter with the grounds of your choice, so that you can customize your coffee experience. Plus, the reusable mesh scoop is better for the environment and cheaper than many pre-packaged pods. This machine is designed to accommodate your lifestyle and your taste in coffee. The adjustable metal base can be raised or lowered so that you can easily brew right into your favorite ceramic mug or in a thermos for taking with you. In addition to versatility, speed is another feature that stands out in this maker’s design. The Scoop can brew an 8 oz cup of coffee in just 90 seconds or a 14 oz cup in only 2.5 minutes. It’s ideal for mornings when you’re running behind and need to grab and go. While the Scoop-Single Server offers great speed and flexibility for a quick cup of joe, its small size can also be somewhat of a downfall. If you’re looking to brew multiple cups of coffee or if you’re trying to brew coffee for a larger group then the Scoop-Single Server might end up being a bit of a hassle. If you have a more traditional pot to use as a back-up, or if you’re not in the habit of throwing large dinner parties, then the smallness of this maker won’t be a problem. It’s a great pick for a dorm room or apartment. Ultimately this coffee maker is an excellent machine that will brew a great tasting cup of coffee and be more cost effective than pre-packaged pods. For regular daily use on your way out the door or when you need a quick pick me up in the afternoon, the Scoop-Single Server will get the job done. Mr. Coffee does include a stainless steel carafe that is not only sturdier than a traditional glass carafe, but it will also keep your coffee warm longer. The Mr. Coffee has some great features for automating your daily brew. Mornings always run more smoothly when you’ve got your coffee ready the night before, so that all you have to worry about on your way to work is pouring and sipping. With its automated brew feature, the Mr. Coffee makes it easy for you to get your coffee hassle free. The side panels of the Mr. Coffee feature a dual window so that you can easily keep track of how much water you’ve poured to get the strength of your brew just right. And the reusable mesh filter included with the Mr. Coffee allows you to measure a heap of grounds that will suit your taste. Like the Single-Scoop Server, one of the downfalls of the Mr. Coffee is its size. The stainless steel carafe holds about 25 oz of coffee. Depending on the size of your mug you’ll likely get 1-2 cups per brew. With the travel mug that I use each day, 25 oz gives me one full mug, and then a little more than half a second cup. But, if you’re looking for a small coffee maker that won’t be too obtrusive on your counter, the Mr. Coffee is a great choice. In addition to its compact profile, the cord also stores neatly in the machine to keep it out of the way when you’re not using it. The Mr. Coffee is a solid choice for making your regular daily brew. On top of its clean design and automated brewing features, the stainless steel carafe is also a great upgrade for keeping your coffee warm as you go about your morning routine. Getting a good cup of hot coffee is a necessity for me each morning. 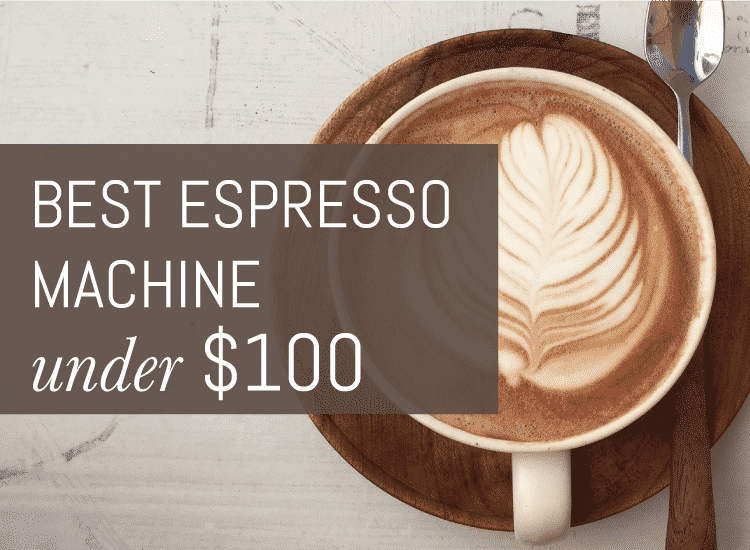 While I appreciate a finely crafted cup of joe on occasion, most of the time I’m in a hurry and I need a cost effective coffee maker that delivers a reliably flavorful brew. Each of the three coffee makers above are great options for maintaining your morning routine at a reasonable price.